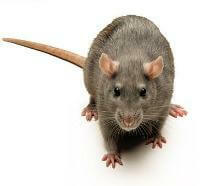 If you require rat removal in Sydney or have a serious rat problem and require solutions. Do not hesitate to book. You can also check out our affordable packages. ABC Pest Control is experts when it comes to rat removal Sydney. Rats can be a serious problem. They not only increase the risk of fires, damage property but also pose a threat to our health with the transmission of various diseases and parasites. Rat removal Sydney is a specialty of ABC Pest Control. Regular pest control can assist you in eliminating these pests from your home and your life for good. A Rat can be found anywhere, where there are shelter and food! Shelter for a rat may include sheds, kitchens; under concrete, garbage or roofs; farms and open fields. These pests like to explore their environment and they also remember the location of items such as food, water, and shelter. When a new object (eg. trap or baits) is placed into their area, they will avoid it initially. Rats have very poor eyesight and are colour blind, but their other senses (eg. smell, taste) are very keen! Rats are common throughout the year but may become more problematic in winter as these pests search warm places to live in. They build nests in hidden and warm areas and reproduce rapidly which in turn, increases the risk of damage to structures and health. If you notice any of the following signs, call your pest control professional for an inspection and management solution. Smell; the rat pass urine all the time, which gives off an ammonia-like smell, so that they can find their way back. Wet and dry urine will glow under ultraviolet light and therefore can be detected. There are two ways in which these pests can be managed: chemical and non-chemical method. The chemical method involves baits and strategies of bait types, handling, and placement for successful effect.